Once upon a time genever was one of the most popular base ingredients for cocktails. Now it is making a comeback on the shelves of many of the world’s best bars. It deserves a place on your booze shelf as well. Genever is often described as the missing link between gin and whisky, and rightfully so. Indeed, aged genevers rival the malty quality of a single malt, while its un-aged siblings leave more room for botanicals to play a role, not unlike gin. Slowly sipping a 15-years-old genever is an experience to behold. Furthermore, a genever can make for a great boilermaker. Seriously. Try combining a fresh jonge genever with a hoppy IPA, or a malty oude genever with a chocolate stout. However, there’s another way to incorporate genever in your drinks routine. Cocktails are an excellent vessel in which to showcase this sweet, malty drink with a nuanced botanical influence. In fact, it already served as a prime base-spirit upon which to build cocktails centuries ago. Many of the classic cocktails from yesteryear, which to a modern audience might be more recognisable as dry gin or whisky concoctions, work well with genever. Think of an Old Fashioned, an Improved Cocktail or, if you dare, even a Manhattan. At one point in time, genever was one of the four most important base spirits in cocktails, together with rum, whisky and brandy. We’re talking about the mid-19th Century. But even back then, it was often called Holland Gin, or simply gin. In Jerry Thomas’ seminal cocktail book from 1862, fourteen of the fifteen gin recipes don’t specify what kind or style. Understandably, modern drinks enthusiasts and mixologists assumed that a Gin Julep or Gin Smash was made with dry-style gins. It wasn’t until the craft cocktail renaissance that we first experienced a little over ten years ago, that people really started to delve into cocktail history. Author and historian Dave Wondrich for example, was one of the first to ascertain that the gin Jerry Thomas had in mind was in fact genever. For evidence, you only have to look at import figures. In the 1850s in the port of New York, Dutch genever was imported at a rate of 450-to-1 compared to English gin. When Dry Vermouth entered the equation in the 1880s, it signalled the end of genever as an important cocktail ingredient. The two mix poorly, which would prove to be the ruination of genever in America, that all-important cocktail pioneering country. 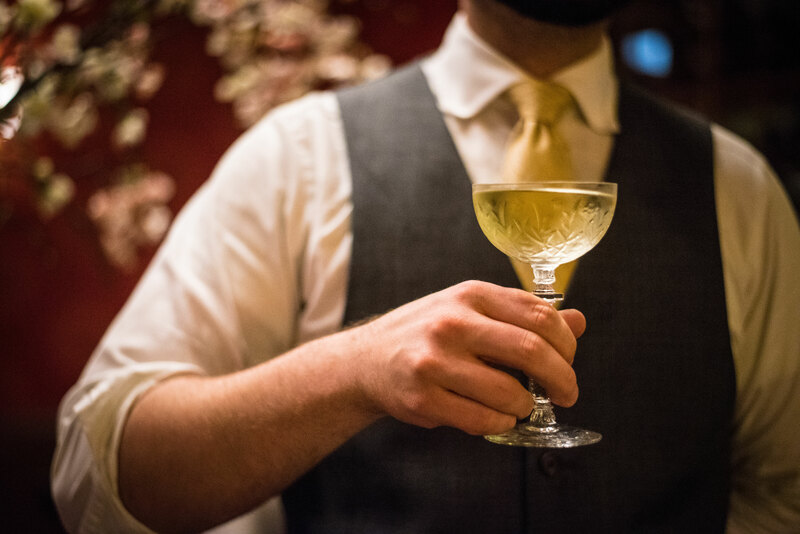 Thanks to inquisitive authors and passionate bartenders, there’s now a renewed appreciation for genever, leading to creative uses such as in Faden’s winning cocktail. Now genever proudly sits on the shelves of many of the world’s best bars. There’s no reason why it shouldn’t be included in your home bar too. Combine the ingredients in a mixing glass with ice. Stir to chill. Strain into a chilled coupe, with no garnish. The drink blooms while stirred and is pleasantly aromatic. Enjoy!